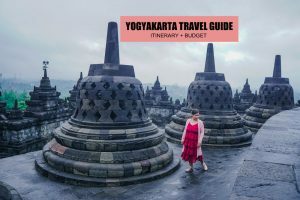 This is a detailed MATSUMOTO ITINERARY + MATSUMOTO TRAVEL GUIDE blog with sample budget, things to do in Matsumoto, Matsumoto side trips, and where to stay in Matsumoto. It’s time to put Matsumoto on your Japan trip radar. This clean and orderly city at the heart of Japan rarely disappoints regardless of its mood. In spring, the stunning Matsumoto Castle ground is draped by cherry blossoms and you can make a side trip to nearby Snow Wall, during winter it’s the perfect gateway to neighbouring ski resorts and highland onsen. In autumn, the city turns into a colourful kaleidoscope of red, orange and yellow. Regardless of the season, Matsumoto city casts a cheerful spell that beckon repeat visits. Despite its urban air, it somehow feels provincial and not too intimidating. Watch my latest Youtube video. Situated in Nagano Prefecture in Japan, Matsumoto is the 2nd largest city in the region. It is hugged by the Japanese Northern Alps and the Utsukushigahara Heights. This pristinely preserved town was once called Fuskashi. Matsumoto developed around the Matsumoto castle as a castle town under the Tokugawa shogunate during the Edo period. Today, remnants of its rich merchant history is still evident in age-old Nawate and Nakamachi Street. Matsumoto is a good base for exploring Nagano Prefecture, as it is located in the center of Japan and is therefore accessible from several major cities, like Tokyo, Nagoya, Kyoto and Osaka. 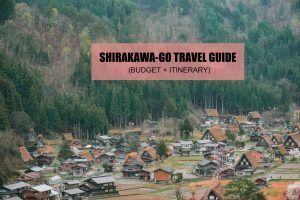 If you are contemplating on traveling to Matsumoto City soon, here’s a detailed Matsumoto Travel Guide + Matsumoto Itinerary with Budget. Matsumoto’s peak season is January to April, winter to spring. I’ve experienced both seasons in Matsumoto and they’re both worth it. If you plan to just visit Matsumoto city only, spring would be ideal due to the cherry blossoms viewing at Matsumoto Castle ground, but it’s also the best time to see the Snow Walls at Norikura Kogen. 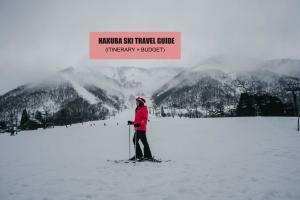 But if your itinerary includes a side trip to nearby towns and cities, winter would be great too as you can also witness the popular snow monkeys bathing at Jigokudani Yaen-Koen Monkey Park as well as experience skiing and other snow sports in Hakuba or at Norikura Kogen ski resorts. WI-FI: I usually use a pocket Wi-Fi during my stay in Japan. It is good for up to 5 devices at once. It was pretty reliable, you can pick it up at the airport upon your arrival. ELECTRICITY: Matsumoto uses 2 electric plugs, Type A and Type B. If you’re from the Philippines, we use the same type of power plug, so I didn’t need to use my travel adapter. For other nationalities, best to bring a travel adapter. Japan standard voltage is 100 V and 50 HZ. MONEY: Most establishments in Matsumoto accepts cash or credit card. But cash is widely accepted especially by small establishments. You can withdraw from internationals ATMs usually found at convenience stores like 7Eleven and Lawson. My card usually works at 7Eleven ATMs. You may have a hard time looking for money exchange center. Before leaving the Philippines, you can also exchange your Philippine peso to Japanese Yen at some money changers. I like Sanry’s rate, just Google the branch nearest to you. The current exchange rate is $1 = ¥111 = ₱ 52. The best rate is still the bank’s rate. Best to stay in hotels near Matsumoto Station. There are several hotels in Matsumoto for all types of budget. During our recent visit to Matsumoto City, we stayed at Hotel Buenavista. Its location is pretty convenient, just a 7-minute walk or a 2-minute complimentary shuttle bus from Matsumoto Station. This 4 star hotel also offers a scenic view of the Japan Northern Alps. I stayed in a twin deluxe room that is clad in bright interior. I find it spacious enough and equipped with everything you expect to find in a luxe hotel. The room is also equipped with humidifier, pants presser, safety box, and a cellular phone with data that you can use for free when roaming around Matsumoto city. MATSUMOTO SAFETY: Like most places in Japan, Matsumoto is pretty safe and tourist-friendly. Matsumoto City is located at the heart of Japan, which means, it’s easy access to different cities from Japan, including Nagoya, Tokyo, Osaka, and Kyoto. If you’ll be exploring the greater region of Nagano for a few days, you may consider getting a JR East Nagano/Niigata Pass. If you’ll be exploring Nagano and Matsumoto as part of your extensive multi-city trip around Japan, you may consider getting a JR Wide Pass, depending on your itinerary. But, if you’ll only be exploring Matsumoto city center, you can get an IC Card. 1.From Chubu International Airport in Nagoya, Japan take the Meitetsu-Limited Express train towards Meitetsu-Gifu. 2.Get off at Meitetsu Nagoya Station. Fare is ¥1,230 (₱583 – $11); travel time is 29 minutes. 3. Walk to Nagoya Station and take the Shinano train to Nagano. Transit time is about 2 hours and 6 mins, and fare is ¥6,230 (₱13,132 – $56), (covered by JR Pass and JR East Nagano Niigata Area Pass). 4. Alight at Matsumoto Station. 1.From Meitetsu Bus Center in Nagoya, you can take a highway bus to Matsumoto Bus Terminal. Check the bus schedule HERE. Travel time is approximately 3 hours and 30 minutes, and bus fare is ¥2,600 (₱1,233 – $23) – ¥3,860 (₱1,831 – $34). 2. Get off at Matsumoto Bus Terminal. 1.From Tokyo Station, Ueno Station or Shinjuku Station, take the shinkansen (bullet train) to Kanazawa. 3.Transfer to JR Shinonoi Line to Matsumoto. 4. Alight at Matsumoto Station. Total travel time is about 2 hours and 53 minutes, and fare is roughly ¥9,480 (₱4,497 – $85). (covered by JR Pass and JR East Nagano Niigata Area Pass). 1.From Tokyo Station, ride the Limited Express Kaiji train to Koju. 2.Alight at Koju Station. Transit time is about 1 hour and 52 minutes. 3.Transfer to JR Chou Line to Matsumoto Station (covered by JR Pass and JR East Nagano Niigata Area Pass). 4.Alight at Matsumoto Station. Total travel time for this route is about 9 hours, and fare is roughly ¥5,550 (₱2,632 – $50). 1.From Kyoto Station, take the Shinkansen Nozomi to Tokyo (covered by JR Pass). 2.Get off at Nagoya Station. 3.Transfer to a Limited Express Shinano Train to Nagano. 4.Alight at Matsumoto Station. Total travel time is roughly 3 hours and 35 minutes and fare is roughly ¥10,470 (₱4,966 – $94). 1.From Osaka, take a train to Kyoto Station or Shin-Osaka Station. 2.Then transfer to the Shinkansen Nozomi to Tokyo (covered by JR Pass). 4.Transfer to a Limited Express Shinano Train to Nagano. 5.Get off at Matsumoto Station. Total travel time is roughly 2 hours and 53 minutes and fare is roughly ¥11,110 (₱5,270 – $100). Osaka (Hankyu Sanbangai): Located near the Hankyu Highway Bus Terminal near Osaka Umeda Terminal. See location HERE. Shin-Osaka Hankyu Building: Check locationHERE. BY FOOT: Many of the top tourist attractions in Matsumoto can be reached on foot from Matsumoto Station. BY TOWN SNEAKER BUS: The Town Sneaker Bus, which you can easily recognize because of its polka dots leaves every 30 minutes from Matsumoto Station, Matsumoto Bus Terminal, and Matsumoto Castle/Matsumoto City Hall. Fare is ¥200 (₱95 – $2) for each ride. BY BIKE: There are FREE bikes for rent at different locations around Matsumoto town, including Matsumoto Station’s Castle Exit. If all bikes have been rented, you can rent one from the M Wing community center about 5 minutes away. For more information, inquire at the Matsumoto Tourist Information. A mere mention of Matsumoto connotes images of Matsumoto Castle. This black-colored beauty is the oldest five-tiered wooden castle in Japan and one of the 5 castles designated as a National Treasure. Because of its black and white 3-turreted donjon (a massive inner tower castle), it is dubbed as Karasu-jo (Crow Castle), proudly standing on a plain with the Japanese Alps as its background. There’s a free 1-hour tour courtesy of the Goodwill Guide Group and monetary donation is a big NO, however, you can bring a pasalubong for the guide. Interestingly, there are staff acting as Japanese armored warriors, ninjas, and princesses at Honmaru Gardens daily between 9:00 AM – 4:00 PM. Don’t be shy to approach them for a souvenir photo. Before entering the Matsumoto Castle, show your ticket and remove your slippers. You can go up the steep and narrow stairs to explore the castle. The castle appears to have 5 floors, but it’s actually composed of 6 floors as the 3rd floor is a secret floor where samurais gather together in case of war. Inside the Matsumoto Castle, on the 2nd floor is the Teppo Gura Museum where weapons and armors from the Sengoku Period are displayed. The exhibits are private collection of Akahane Michishige, a local resident who handed all those pieces to Matsumoto as a gift. The narrow wooden windows of the turret that pretty much look like square holes were actually used by archers and gunmen during the warring days. But, those windows are also great spots for viewing the scenic Japanese Alps, Matsumoto City, and the water below the castle that is home to lovely swans and gigantic fishes. Please, don’t feed the fishes and swans nor attempt to catch them. Situated beside the Metoba River, Nawate Street, also known as Frog Street (Kaeru Machi), makes for a pleasant stroll as it still exhibits a laid-back Edo-style atmosphere. The narrow, frog-themed shopping street is fringed with varied classic shops and cafes in traditional architecture. When I first visited this place, I vividly remember our tour guide explaining to us the history behind this frog-fringed street. It is said that in the olden days, the Metoba River is a haven of kajika frogs (a frog endemic to Japan) that sang in unison with the bustling street. But after a strong typhoon that hit the area, causing the river to overflow, the kajika frogs left for cleaner water upstream. To make the frogs return, the residents cleaned up the river, but sadly, they did not reappear. Kaeru, the Japanese word for frog could also mean to return home. So, to bring the frogs spirit back and to summon a safe return home, they decided to create and decorate Nawate Street with frog statues and frog-themed items. A mini fog shrine called Kaeru Daimyoujin was even constructed to bring back the lively atmosphere of Nawate Street. Today, many of the shops in Nawate Street sell antiques, ceramics, wooden sculptures, souvenirs, soba noodles, senbai (rice crackers), and taiyaki (fish-shaped cake with red bean paste inside). Along the street you will also find a pigeon-filled alley to Yohashira Shrine. This shrine was founded during the Meiji Period for the 4 Shinto deities and is believed that if you pray and make a wish here, it will be granted. Another popular street in Matsumoto where the city’s merchants used to live during the Edo Period is Nakamachi-dori, the backbone of the castle town, just walking distance from Matsumoto Castle and runs parallel to Nawate-dori. This age-old business district was situated in the heart of Matsumoto Castle Town, thus the name – Naka (center) and Machi (Town), and it was formed as part of the Zenkohi Kaido, an old road that connects the Zenkoji Temple in Nagano to Matsumoto. It is fringed by fire-resistant kura-styled (earthen-walled) storehouses with black and white namako-kabe walls as a response to the big fire in 1888 that destroyed many of the original buildings here. These beautifully-preserved structures called kura or dozo are historical, some dating over 100 years old. Most of the structures here served as storehouses and wholesale dealers of sake brewers and kimono. Today, the warehouses were transformed into craft shops, cafes, art galleries, restaurants, ryokan, and izakaya (pubs). Take note that most of the shops are closed on Wednesday. While you are at it, don’t miss the Kurassic-kan buildings that is composed of 3 buildings that were part of the nearby sake brewery. You can go inside the main building for free and also see a traditional hand-pumped well. Since Matsumoto has plenty of natural ground water, several wells are scattered around the city. By foot: From Matsumoto Station, walk for about 12 minutes to the museum. By bus: From Matsumoto Bus Terminal, take the ALPICO kotsu Yokota-Shindai Circle Line Bus. Get off at the “Matsumoto-shi Bijutsukan” stop. Travel time is about 5 minutes. Alternatively, you can catch the Town Sneaker City Circle Bus (Dancing Polka Dots Bus) that was designed by Yayoi Kusama herself. Take the Eastern Course at the Castle Exit at JR Matsumoto Station. Alight at the “Matsumoto-shi Bijutsukan” stop. Travel time is about 14 minutes. Founded to showcase the works of local artists from Matsumoto, the Matsumoto City Museum of Art is popular for its permanent exhibition of Yayoi Kusama works, a world- renowned avant-garde artist who hails from Matsumoto. She is known for her polka dots arts; environmental arts, vivid pieces, video, novel, poetry, and her wide-ranging images on flat surfaces and 3-dimensions. Her collections of art from her childhood to those from her most recent “My Eternal Soul” Series are displayed her, unfortunately, taking photos isn’t allowed. A quick walk inside the rooms of her artworks and infinite reflections gives one a sense of Kusama’s artistic perceptions. During our visit, we chanced upon the 8th Art Competition by People who are Over 70 wherein award-winning artworks from artists all over Nagano are exhibited. This is actually one of the goals of Matsumoto City Museum of Art since they founded the museum and for me that’s priceless. I really wanted to see those artworks, but I was too shy to ask for more time since we were visiting another destination. But I am really happy to learn that Matsumoto City gives chance to the elderly to showcase their talents, and embraces the power of art in extending healthy life expectancy. If there’s one thing that struck me here, it’s the line printed on the stairs of the museum that says, “The older we feel, the younger we are”. I have a soft spot for old people, I promised myself that someday when I become wealthy I will help build more opportunities for them, to care for those who once cared for us. One day, we too will become old and weak. Access: At Matsumoto Station, take the JR Oito Line bound for Shinano-Omachi Station. Alight at Hotaka Station. Travel time is about 26 minutes, and fare is JPY 320. From Hotaka Station, you have 3 options: take a taxi to Daio Farm (approximately JPY 1,200), rent a bike for about JPY 200 per hour from Hotaka Street, or walk for about 30 minutes. Located outside the outskirts of Matsumoto, Daio Wasabi Farm is the largest wasabi farm in Japan, that can yield up to 150,000 wasabis. As some of you know, I love farming and have tried farming back in my hometown. In fact, one of my long-term goals is farm tourism, to own a farm where me and my father can farm when he retires from work. So, I really find it interesting to visit a sprawling farm like Daio Wasabi Farm. Here, the amiable manager himself – Mr. Hama, known as the wasabi master, warmly welcomed us and toured us around. The company is lucky to find someone like him who is so passionate about his job. He did mention a story about finding and meeting his first love at Daio Wasabi Farm and until now he is still waiting for her. I really hope they find each other again. Anyway, the place is incredibly massive, dotted with plum-fringed hills, sprawling wasabi field, a clean river and stream, restaurants, stores selling wasabi flavored food and ice cream, souvenir shops, and even shrines. It’s such a unique farm for me because first, we don’t have a wasabi farm in the Philippines, the wasabi that we use when eating sushi or sashimi in Japanese restaurants is actually made from horse radish. During the wasabi tour, I learned the 2 kinds of wasabi – the horse dish and the hon wasabi, dubbed as the “real wasabi” that are grown there. This type of wasabi can only be grown in clean, running water at 13 degrees temperature, reason why there’s a network of natural stream running in between the wasabi plant all the way from the Northern Alps. From May to October, the wasabi plants are protected by the black tarp to ensure its healthy growth. The roots and rhizomes of the hon wasabi are grinded to obtain the extract of hon wasabi’s fresh, herbal and smooth flavor. I tried biting the rhizomes and there was no burning aftertaste, but once I started grinding it with my teeth, the flavor became apparent. Unlike the usual horse dish paste used as wasabi in the Philippines that has a piercing, lingering and burning aftertaste, the hon wasabi tastes smoother and cleaner. One of the reasons why I like this farm is its landscape – it’s relaxing to take a leisurely stroll here. Don’t miss the location of Hollywood movie “Dreams” that was directed by Akira Kurosawa. The area is so scenic as it has a watermill by the river surrounded with soaring trees. Also check out the Daio Shrine, dedicated to Hachimen Daio, an ancient hero from whom the farm was named. After the tour, check out the souvenir shop selling all-things wasabi; wasabi crackers, wasabi juice, wasabi paste, wasabi flavored pickles, wasabi dressing, wasabi beer, and even wasabi chocolates! Also try the wasabi flavored ice cream and bun, it’s really good! I remember the first time I wore a Japanese costume was back in Grade 5, since then, I’ve always wanted to try a real kimono, but never really got the chance to despite my repeat visit to Japan this past few years. Thankfully, Abi of Our Awesome Planet insisted we try it during our visit to Matsumoto Castle. Yu of Nagano Tourism office found the perfect place for us to rent kimono in Matsumoto, about 2 minutes away by foot from the castle – the Hanakomichi Rental Shop. I enjoyed the whole experience – from selecting my kimono patterns and colors, the obi (sash), the bag and umbrella, to wearing the kimono, which to my surprise was quite a long process! I also learned that when wearing the kimono, the left side should always cover the right side. The staff at Hanakomichi are certainly helpful and friendly, highly recommended. The shop also offer ninja and samurai costume rental. When wearing a kimono, it is also important to learn the Japanese etiquette while sporting this elegant costume, such as walking slowly and how to sit down properly. TIP: When you rent a kimono at Hanakomichi, you get a 1-day passport that earns you the chance to receive a gift from partner shops at Nawate Street, Nakamachi Street, and Daimyocho Street. During spring (mid-April), the Matsumoto Castle holds a Nighttime Cherry Blossom Viewing. Its ground is a perfect spot for viewing sakura (cherry blossoms) that are illuminated by lights. Other must-experience festivals for during summer are the Takigi Noh Festival (a show performed by torch light), and the Taiko Drum Festival. 1.From Matsumoto Station, take the JR Shinonoi Line towards Nagano Station. Travel time is about 1 hour and 3 minutes and fare is JPY 1,140 (covered by JR Pass). 2.Ride any bus from bus stop 1 in front of JR Nagano Station Zenkoji Exit. 3.Get off at Daimon bus stop. Fare is around JPY 100; transit time is about 10 minutes. Zenkoji Temple is a National Treasure. This pristinely-preserved 7th century Buddhist temple houses Ikko Sanzon, believed to be the 1st Buddha image that arrived in Japan in AD 552, around the period when Buddhism was first introduced in the country. Interestingly, this image is a hibutsu (secret Buddha) because it has never been seen by the public. A replica is being shown every 6 years. 1.From Matsumoto Station, take the JR Shinonoi Line towards Nagano Station (covered by JR Pass and JR East Nagano Niigata Area Pass). 2.At Nagano Station, transfer to Nagano Dentetsu-Nagano Line towards Yudanaka. 3.Get off at Nagaden Yudanaka Station. Total fare is JPY 2,300 and travel time is about 2 hours and 28 minutes. 4.From Yudanaka Station you can take a taxi, for about 10 minutes to Jigokudani Yaen-Koen Monkey Park. Alternatively, you may also board the bus (1-2 buses per hour) to Kanbayashi Onsen (Bus Stop A) or Snow Monkey Park (Bus Stop B). The bus stop is on your right side. See bus schedule HERE. 5.From the park’s gate, it’s about a 20-minute uphill hike. The path is paved, but it can get slippery and wet during the winter season. Yudanaka in Nagano Prefecture is known for the snow monkeys of the Jigokudani Yaen-Koen Monkey Park. This park was opened way back in 1964 but became popular because the snow monkeys made it to the cover of the famed LIFE Magazine in 1970, and the Japanese macaques bathing in natural onsen pools where shown in Baraka movie in 1992. What I like about this park is, it’s not a zoo, but a natural habitat of the snow monkeys. They actually live on the mountains, which includes the park area. They come down in the morning to play in the park or bathe in the onsen when the weather is cold. But when the weather is warm, they don’t use the onsen, instead, they sunbathe. You can observe the snow monkeys at a close distance, but be careful getting too close as they are wild animals. The best time to visit the Jigokudani Yaen-Koen Monkey Park is during winter season (December to March). But the park can be visited any months of the year. The Jigokudani Yaen-Koen Monkey Park is really gorgeous. I enjoyed taking photos of the surroundings here, as everywhere I turn, it is truly scenic – from the snow-covered trees to the sunlight peeking through the branches of the trees, and from the snow-peaked mountains to the traditional structures and natural onsen. This place is worth a visit. TIP: It’s a long walk from the jumping-off point, so wear proper shoes and clothes. Do not bring heavy luggage, if you do, you can store it in a locker inside the shop beside the main gate to the park. The other shop also have boots rental, very helpful if you are visiting during winter. 1.From Matsumoto Station, take the Matsumoto Dentetsu Kamikochi Line to Shinshimashima Station. Travel time is about 30 minutes and fare is JPY 700. 2. Alight at Shinshimashima Station. 3.From Shinshimashima Station (K-01), take the Norikura Line Bus to Norikura Kogen Tourist Information Center (K-29). Fare is JPY 1,350 (cheaper to buy the roundtrip ticket for JPY 2,150). Check the bus timetable HERE. 4. Alight at Norikura Kogen Tourist Information Center ( Bus stop K-29). 5. From there, take the Haruyama Bus all the way to Daisekkei Bus Stop (N-40 bus stop). 6. Alight at Daisekkei Bus Stop where the snow walls is located. TIP: If you plan to travel between Matsumoto, Kamikochi, Norikura, and Shirahone Onsen, better to get the Alpico Bus 2 Day Pass for JPY 6,000 or the 3 Day Pass for JPY 7,000. I’ve visited the Tateyama Kurobe Snow Wall but I was surprised to learn on my recent trip to Nagano that there’s also Norikura Kogen Snow Wall in Norikura Kogen, outside Matsumoto! From late April to June, the remaining snow along the Echo line forms snow walls that can reach over 10 meters! Access: From Shinshimashima Station, take an Alpico Bus Shirahone Bus to Norikura. Travel time is about 55 minutes. Norikura Kogen highland is peppered with hot springs at the base of Mt.Norikuradake. The onsens here boast of milky white mineral water from the underground along Yugawa River upriver, which is piped to the wide area of Norikura Onsen-kyo. As a result, over 100 accommodations here offer onsen bath. I’ve yet to try it though so I can’t give you much information, but will surely give it a shot next time I visit Nagano and update this post. Here’s a sample 2-Day Matsumoto Itinerary with sample budget. *Sample budget doesn’t include airfare, hotel, drinks, and souvenirs. The current exchange rate is $1 = ¥111 = ₱ 52. The best rate is still the bank’s rate. 06:40 AM Head to JR Nagano Station Zenkoji Exit. 07:00 AM Ride any bus from Bus stop 1 at JR Nagano Station Zenkoji Exit. 07:20 AM Walk to Zenkoji Temple. 09:00 AM Ride bus back to JR Nagano Station at Daimon Bus Stop. 10:00 AM Take the JR Limited Express (Wide View) Shinano to Nagoya. (covered by JR Pass and JR East Nagano Niigata Area Pass). 10:49 AM Get off at Matsumoto Station. 10:55 AM Head to hotel. 11:00 AM Hotel check-in or leave luggage at concierge. 12:00 PM Head to Matsumoto Station. 12:20 PM Take JR Oito Line bound for Shinano-Omachi Station. 01:00 PM Alight at Hotaka Station. Bike or taxi to Daio Wasabi Farm. 03:00 PM Return to Hotaka Station. Take JR Oito Line to Matsumoto Station. 11:40 PM Head to hotel. 12:00 PM Hotel check-out. Leave luggage at concierge. 01:00 PM Head to Matsumoto Bus Terminal. Get off at the “Matsumoto-shi Bijutsukan” stop. Walk to Matsumoto City Museum of ART. 03:30 PM Head to hotel. Collect luggage. 08:00 AM From Matsumoto Station, take the JR Shinonoi Line towards Nagano Station. At Nagano Station, transfer to Nagano Dentetsu-Nagano Line towards Yudanaka. Kanbayashi Onsen (Bus Stop A) or Snow Monkey Park (Bus Stop B). 11:00 AM Jigokudani Yaen-Koen Monkey Park. Lunch ¥1,000 (₱474). 01:30 PM Take a bus from Kanbayashi Onsen-guchi (Bus Stop B) or Kanbayashi Onsen (Bus Stop A) to Yudanaka Station. See timetable HERE. Don’t miss to try eating soba noodles when in Matsumoto. It is the land of soba noodles. Some long-standing soba noodles restaurant even offer soba noodles making lesson. Temari is one of the best souvenirs of Matsumoto. It is a traditional Japanese hand-made ball wound with 5 different colors of thread that used to be a toy until the early 20th century. It became popular during the Edo Period when cotton threads are readily available. They were once made by children of feudal warriors in Matsumoto. Tipping is not common in Matsumoto as well as the rest of Japan. You can give gift or pasalubong instead. Avoid being too loud and noisy inside the train and bus. Avoid taking phone calls inside the train and bus. Learn some helpful Japanese phrases such as Arigato gozaimas (thank you), sumimasen (excuse me), gomen nasai (I’m sorry), konnichiwa (hello), and goodbye (sayonara). DISCLOSURE: Our trip to Matsumoto was made possible by Nagano Tourism. About the Blogger : Gael is a Filipina travel blogger. Her work has appeared in local and international publications. Follow her on Facebook , Twitter and Instagram. For advertisements, sponsorship and partnerships, you may reach her at gaelhilotinblog (at) gmail (dot) com.